Per poter davvero partecipare quest'estate al festival Zappanale - a Bad Doberan, in Germania, dal 19 al 21 agosto - Nick Didkovsky e il gruppo Doctor Nerve contano sull'aiuto di amici e sostenitori: l'appello è in KickStarter. 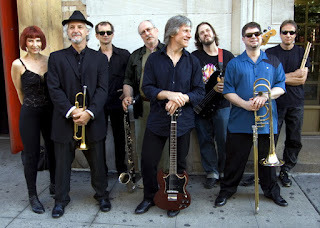 Scrive Didkovsky: "We've been invited to do two shows at Zappanale, in August 2011. We'll also be participating in after hour jams, attending panel discussions, film screenings, meeting fans, other musicians, and promoters... it'll be a very productive and intense couple of days. The Zappanale and More Festival has been celebrating the legacy of the music of composer Frank Zappa for over 20 years. Doctor Nerve’s music has been profoundly influenced by Zappa’s iconoclastic innovation, and has been active for over 25 years. This is a unique opportunity for Doctor Nerve to participate in an international community that shares deep roots".